102 years young, Dattatraya Vakharia lives life to the fullest and wants to break the record of oldest living man - that's held by a 118-year-old Chinese man. 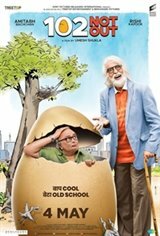 Dattatraya wants to live a stress-free life in order to become the oldest living man. However, there is only one hindrance - his 75-year-old son Babulal who has resigned himself to a life of old age stuck in drudgery. Dattatraya now must find means and ways to change Babulal's sad and grumpy demeanor so that he doesn't become a deterrent in breaking the record. Little do they realize that this rollercoaster ride filled with comedy, emotion and commotion, will change them and their relationship forever.